On the second day of our trip to Prague we went to a concentration in Terezin. Going to the concentration camp was very interesting and eerie but all around an overall cool experience. 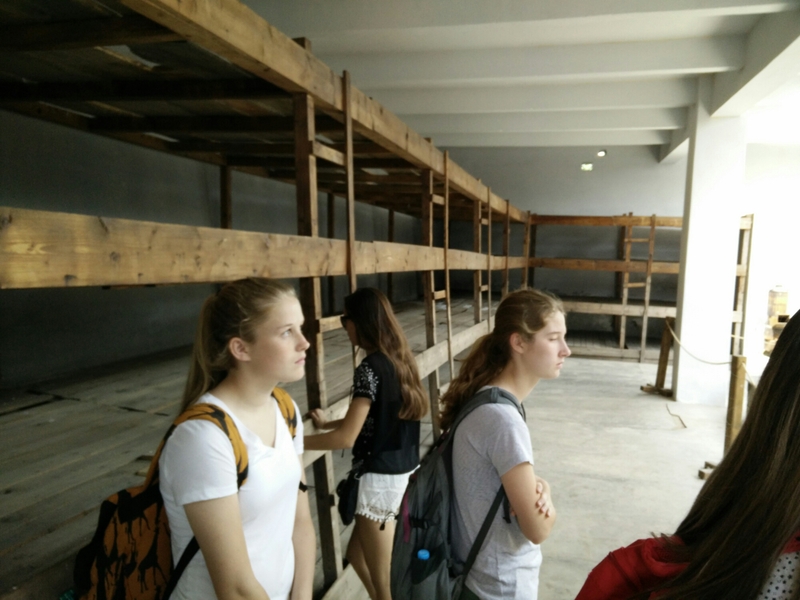 During our tour in the concentration camp we went down a long tunnel that was closed off during the holocaust to avoid any escapees. Something interesting I learned about Prague’s culture today was that around Prague people use many forms of transportation which I’m not used to. In Prague water is not free which I found very strange. I’m excited to see what day three brings.